“Behind the Bar” is a multi-part blog series that will focus on specific aspects of the practice of law ranging from the Rules of Evidence, Rules of Civil Procedure, and other important legal practice technicalities in an effort to provide readers a better understanding of regularly overlooked and misunderstood concepts that lawyers are faced with on a day-to-day basis. A special trait that all attorneys must possess is the ability to guide their clients through the litigation process. Rule 7 is one of the most basic, yet vitally important rules in structuring a case and proceeding through various twists and turns that are encountered along the path to favorable outcomes. Rule 7 is technical and provides guidelines that in some instances, even the Court does not have the power to manipulate. North Carolina Attorneys involved in all areas of litigation are strongly advised to take special heed regarding Rule 7 as failure to do so can bog down your case proceedings. When meeting with your attorney, you will often hear common phrases such as “complaints,” “answers,” “replies,” etc. This very well may be one of the few times that common English meaning of words are directly applicable to the words your attorney is saying. Legal lingo can be confusing, but rest assured, a complaint consists of your actual complaint (aka how you have been harmed/wronged). Rule 7 defines these documents as “Pleadings” and there are six “required” pleadings that you may encounter during the litigation process. Rule 7 flexes its proverbial muscles here as the Court does not have the power to waive or enforce their filing, nor can the court create “new” pleadings. Each of the “required” pleadings are not necessarily required in all instances of litigation, but luckily the process progresses in sequential order, meaning – one must be filed before another becomes required. Despite the seemingly straightforward nature of Rule 7, having an attorney handy is necessary in the drafting, execution, and submission of these documents because a failure to properly file a required pleading can be very harmful to your case. The information gathering stage of the legal process is commonly referred to as the “Discovery Process.” Discovery is generally guided by Rule 26 of the Federal Rules of Civil Procedure and is the way that information is gathered by associated parties to litigation. It is during this time that each party submits various requests for information from adverse parties through a variety of common methods: interrogatories (questions), request for admissions, and request for production of documents. While it is the hope of all parties involved that each party will, in good faith, cooperate with their requests for information, there are times when that is not the case and court intervention is necessary for proper recourse; enter: Rule 37. Where a party has failed to comply with the discovery procedures set forth by court order, party ask for discovery may ask the Court for an order compelling the requested action. Before such a motion may be entered, it must be indicated that the moving party has in good faith contacted the party failing to make the discovery to try and secure the information without court action. This requirement supports the keeping of unnecessary proceedings out of the court system and promoting judicial efficiency. If such a motion is granted the court will typically award reasonable costs incurred by the moving party and place the burden on nonmoving party; this burden is shifted if the court denies the motion unless there is a finding that such motion was substantially justified or other factors, make award of expenses unjust. This is the most common form of award afforded by the courts, as in these circumstances the court is not trying to punish either party, they are merely incentivizing parties to comply with orders of the court. Whether you are a North Carolina law student, newly admitted to the practice of law, or a layperson involved in a civil lawsuit, you will hear quite a bit about service, service of process and certificates of service. 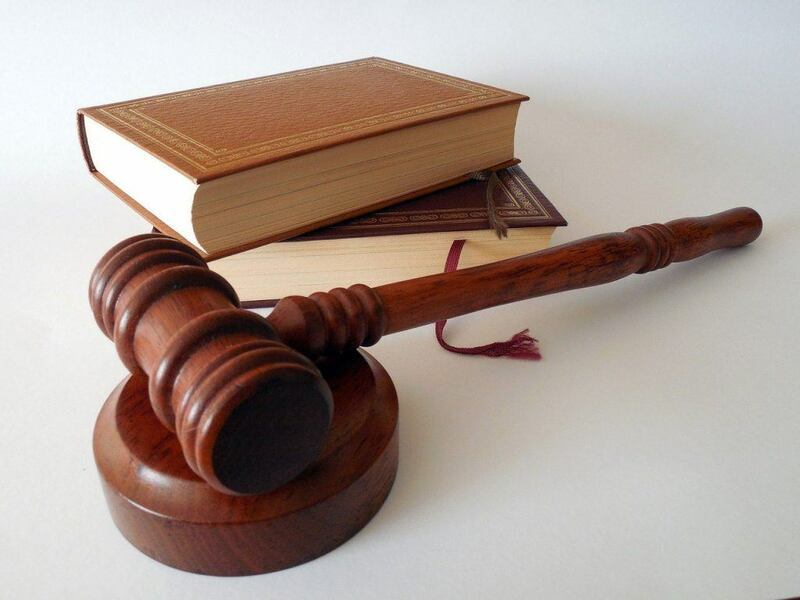 In previous blogs, we have reviewed the basics of Rules 4 and 5 of The North Carolina Rules of Civil Procedure, but for those just becoming acquainted with the Rules, it ‘s hard to differentiate which rule applies, and when. For those who are involved in a lawsuit, it is always best to hire an attorney who can answer your questions fully and advise you of your rights. However, as a way to learn more about Rules 4 and 5 let’s look at some scenarios, and how these Rules regarding service are applied. Scenario 1 – I want to keep my lawsuit as amiable as possible. Can I just hand all of the documents to the opposing party rather than getting a sheriff involved or mailing everything to them? Yes, in theory, but it is ill-advised to do so with service of process. Rule 4 is all about getting personal jurisdiction over the opposing party so the court may enter orders in your case. Rule 5 is about giving appropriate notice to the opposing party of pleadings and other papers filed with the court. While both of these aspects are important, if you screw up service of process (serving the opposing party with your Summons and Complaint) your entire case can be dismissed for lack of personal jurisdiction. It is better to get the Sheriff to try to serve the opposing party so there is a neutral third party who can attest to the fact that the opposing party is properly served. With all subsequent pleadings, you can serve these by hand, but you must file a Certificate of Service with the Court to document this service. Scenario 2 – My crazy ex has refused to move out of the house, even though I have asked her to leave. I want to serve her with a Complaint for Divorce from Bed and Board. Can I just leave it for her on the kitchen counter so I can avoid the extra drama? No. Since this is a new filing Rule 4 will apply on how to serve the opposing party with the Summons and Complaint. It is important to remember that just leaving documents where the opposing party might find them is never proper under either Rule 4 or Rule 5. In our previous installment of “Behind the Bar” we touched on the first part of Rule 4: Service of process, and the requirements involving the “who” and “what” aspects of the rule. In this installment we will complete our review of Rule 4 by discussing the “when,” “where,” and “how;” relating to proper service of a Summons. Proper service to a “natural person” can be attained by delivering a copy of the Summons and Complaint (S&C) to the individual personally, or leaving copies at the dwelling house or regular abode with “someone of suitable age/discretion residing therein.” It can also be accomplished by delivering a copy of the S&C to an agent authorized by appointment (an Attorney) or law to be served or accept service; mailing a copy by certified mail or registered mail, return receipt requested, addressed to party, and delivering it; or using a designated delivery service authorized under the law to effectuate process and obtaining a delivery receipt. There exist many other potential types of parties to legal proceedings, each requiring slight variations to the rule; but regardless of who the party to receive process is, Rule 4 provides many avenues to meet the requirements set forth therein. Even in this day and age, with all the advantages of technology and information, the circumstance may arise where personal execution of service upon an individual is effectively impossible because they are unable to be located. In this situation, where a party cannot, with due diligence be served by normal means, they may be served by publication. Service by this means consists of publishing notice of service once a week for three consecutive weeks in a newspaper which is qualified for legal advertising which is circulated in the area where party to be served is reasonably believed to be located, or if that information is unknown, in the county where action is pending. In either case, proof of service must be completed by means of submitting affidavits with the court showing that service was properly executed and where service was via publication, the affidavit must state why publication was necessary and proof of said publication. No two legal proceedings are alike, each has a different set of facts, parties, circumstances, and inevitably, different outcomes. One thing most share, however, is the seemingly endless number of steps and hoops to climb and jump through in reaching a conclusion. Why, you might ask, does the legal process take so long and be so complicated? A big part of the answer to this question involves behind the scenes activity known as the “Rules of Civil Procedure,” which comprehensively regulates every aspect of legal proceedings in extensive detail. Rule 4 is one of the most basic and fundamental rules that regulates Summons, the process of service, and the consequences of failing to follow proper procedure.